vegan, gluten free party cake! Since we both started eating plant based, we haven’t made any wedding cakes or celebration cakes as we didn’t have a gluten free vegan cake recipe we thought could hold up to all the decorations. But with the advent of Alex’s gorgeous cake recipe that we published a few weeks ago, we were all go again! It was my nephews 1st birthday party today, and my sister and brother in law had asked if we’d make the cake. We were so happy to be asked! 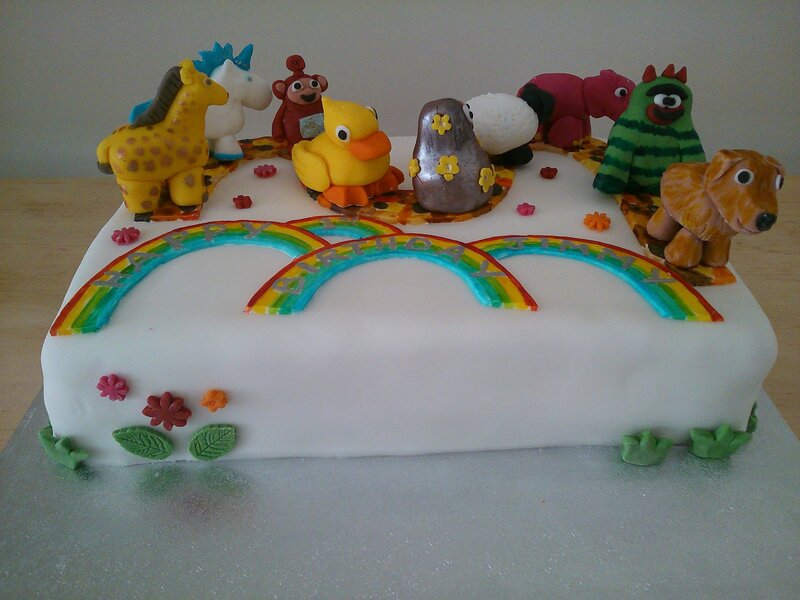 Designing cakes is really one of our favourite things. 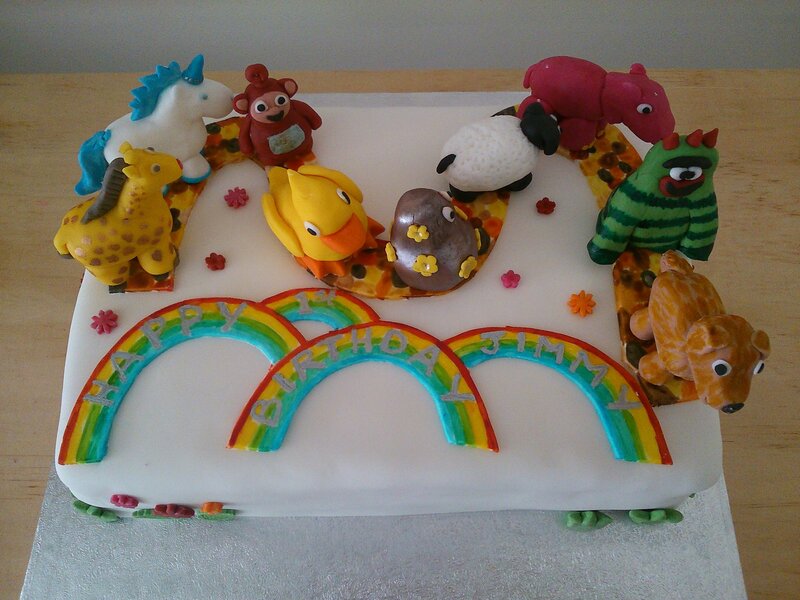 So we made a parade cake, with Jimmy’ s (and our…) favourite characters and toys. We had a great time with sugarpaste making the animals! We’re so pleased with how it came out, and it tasted great too! No recipe this time, but we really wanted to share the photos! Thank you 🙂 We had such fun making it! Thanks Ellie 🙂 making the little animals is such fun, and so difficult to wave goodbye to, but we’ve been sent photos of them sat in their new home so are quite happy!